This Galley Kettle is ideal for stove tops. Skirted base sits under pan clamps for stability at sea. 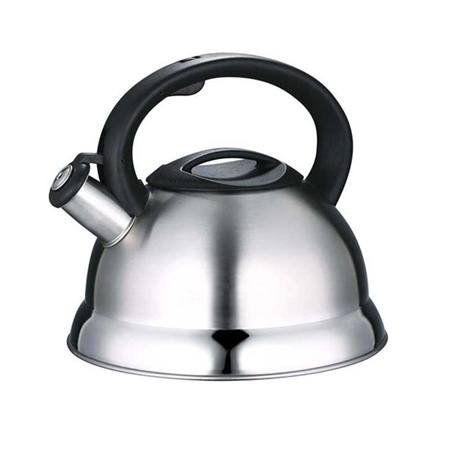 A wide bottom provides excellent gas capture and rapid boiling which is not retarded by an induction base.Its made from stainless steel, whistles when boiling and has a capacity of 2.7 litres. biles the waaater jist braw.